X041. 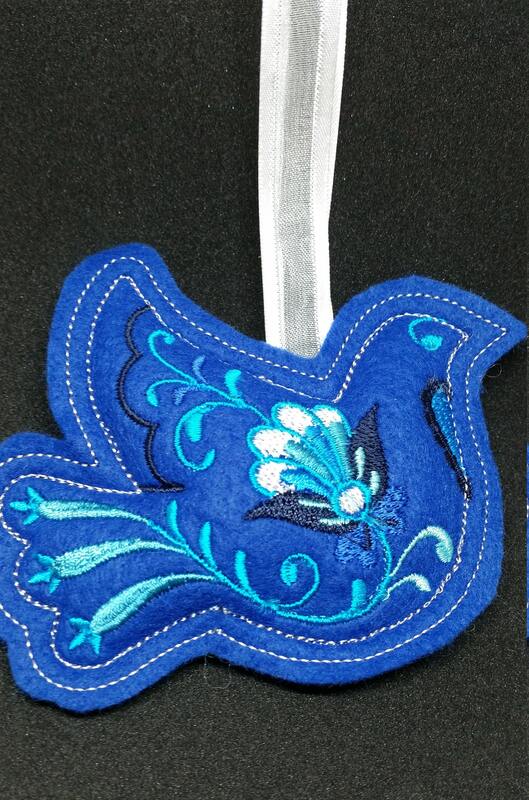 Royal blue felt Dove shape Christmas ornament. 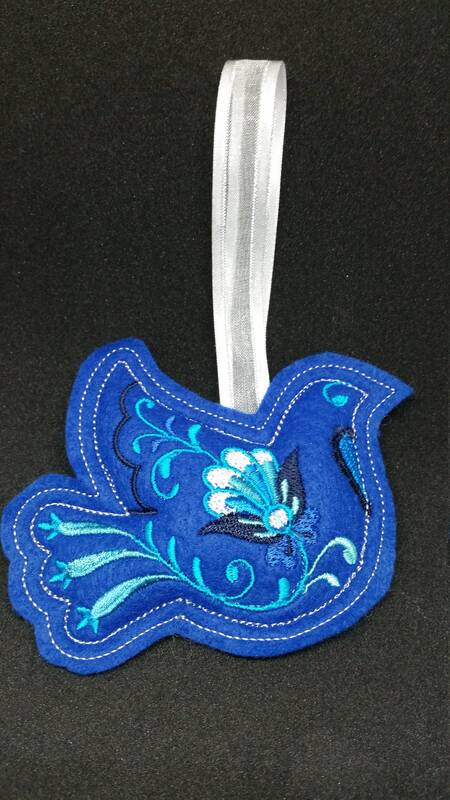 Max Size approx 10cm X 10cm.